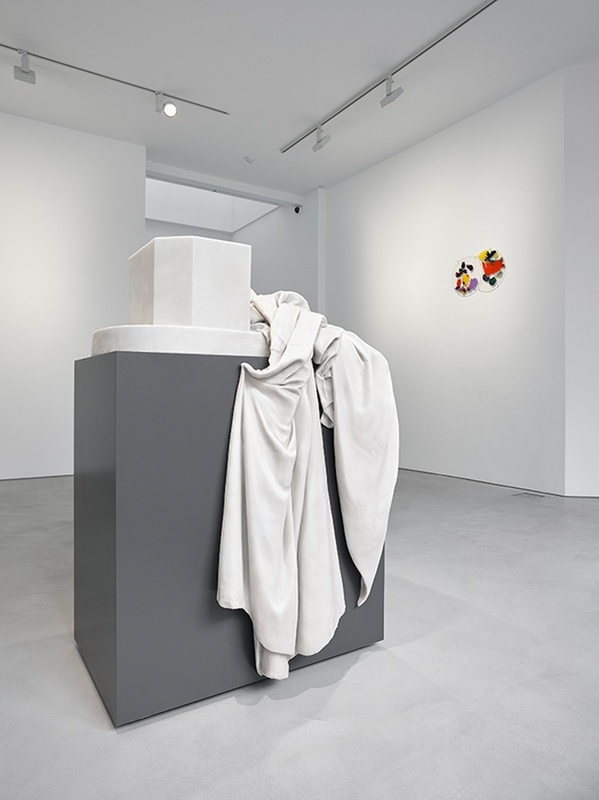 Ryan Gander returns for a third time to Lisson Gallery with “Fieldwork,” an exhibition of interlinking new works by the artist, each offering a glimpse of the inspirations that feed his practice. 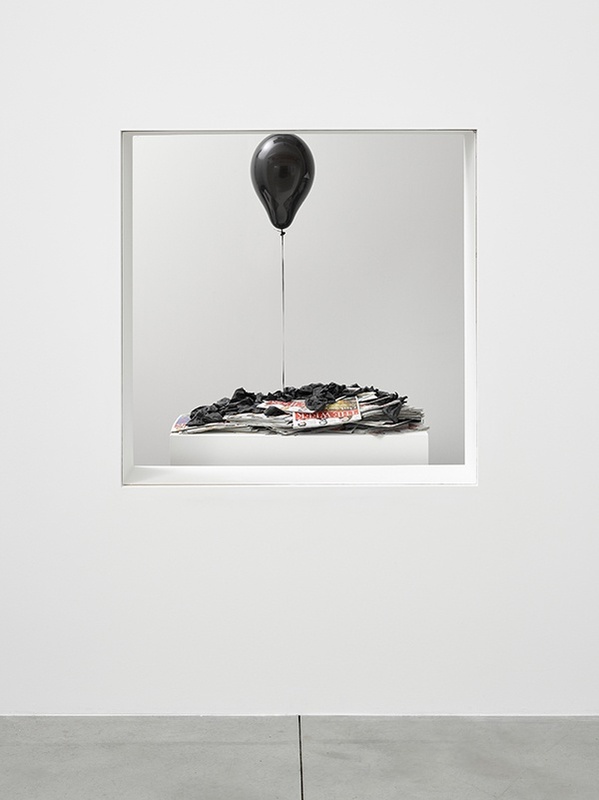 Encompassing everything including a kitchen sink, the exhibition presents an individuated encyclopaedia that includes a year’s worth of skies, the clothes of absentee statues, a tent, a helium balloon, the artist’s phone number and a pebble beach. As ever with Gander’s art, the forms convened in “Fieldwork” are elliptic and opaque, starting stories for the viewer to invent or complete. 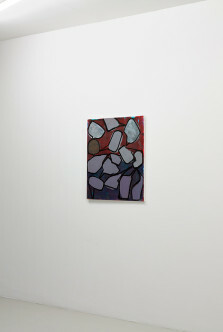 Occupying the entire back gallery, the titular “Fieldwork 2015” (all works 2015) opens a window onto the revolving touchstones of Gander’s art. 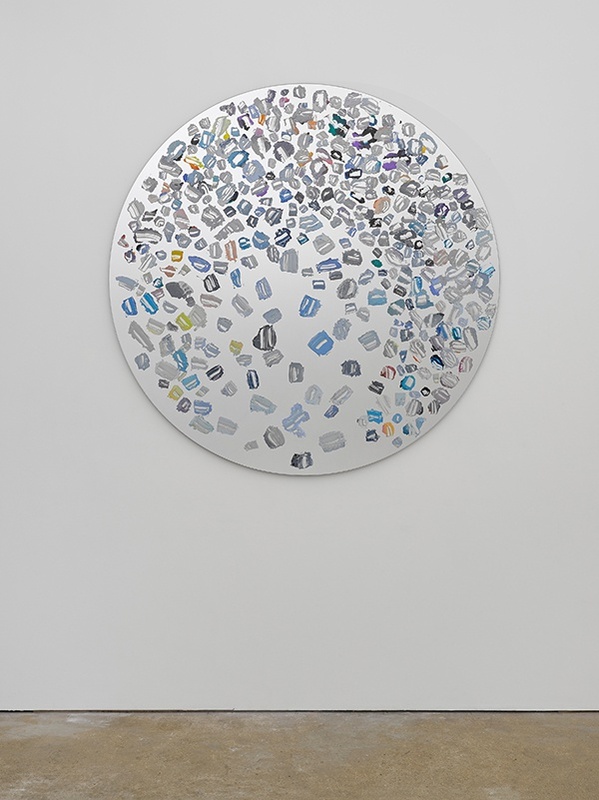 Objects from the artist’s collection—each seemingly found but on closer inspection uniquely crafted (for instance, a National Trust sign protecting “Culturefield”, Gander’s imaginary artistic utopia)—rotate round the room on a vast, walled-off conveyer belt. 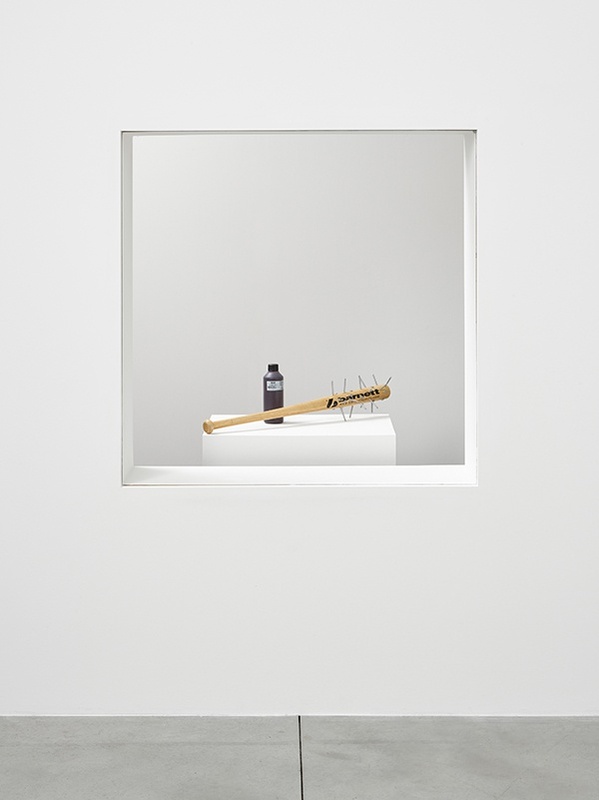 Views of these items gliding past momentarily (a baseball bat covered in nails, a pair of dead pigeons, a chocolate bar swoosh…) are granted via an aperture in the gallery’s wall, creating a memory game of strange associations and a prism of connections (a chess set, a tortured teddy bear, a dead chick served on a plate with a napkin signed by Picasso…) through which to consider the rest of the exhibition. An autobiographical inflection can be discerned in Preparation is everything (There will come a slowness and we should prepare for that also), a work composed of 365 daily attempts to mix the exact colour of the sky over Saxmundham, Suffolk, in acrylic paint; while the installation Never enough—a shingle beach fill the entirety of the downstairs gallery—likewise refers to the seascape near Gander’s home. 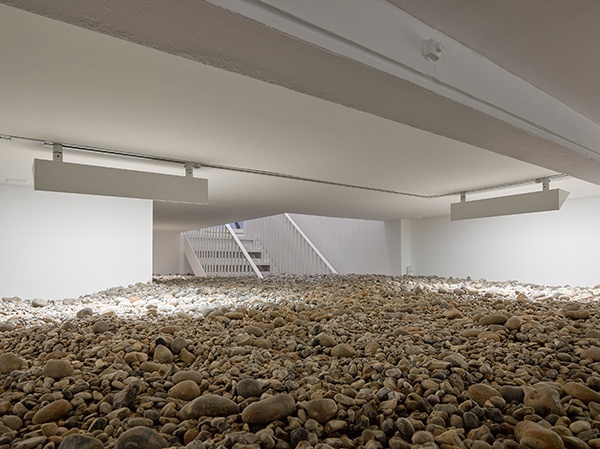 Its supply of endless pebbles references an alleged punishment for those found guilty of the crime of smuggling: to seal up the perpetrator’s storage cellar with stones washed up by the sea. Meanwhile, The artist’s second phone, a giant billboard installed outside the gallery, borrows the aesthetic of vacant Mexican billboards to announce Gander’s phone number to all. 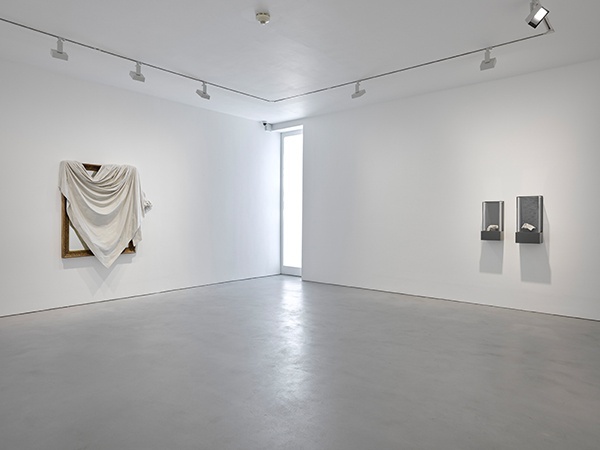 Just as the visitor can glimpse the items on Fieldwork 2015’s conveyer belt but cannot approach them; or peer down at the pebble beach but not access it; and can even call up the artist but is unlikely to be answered, so the other works in the exhibition also present sealed-off worlds and frustrate knowledge. 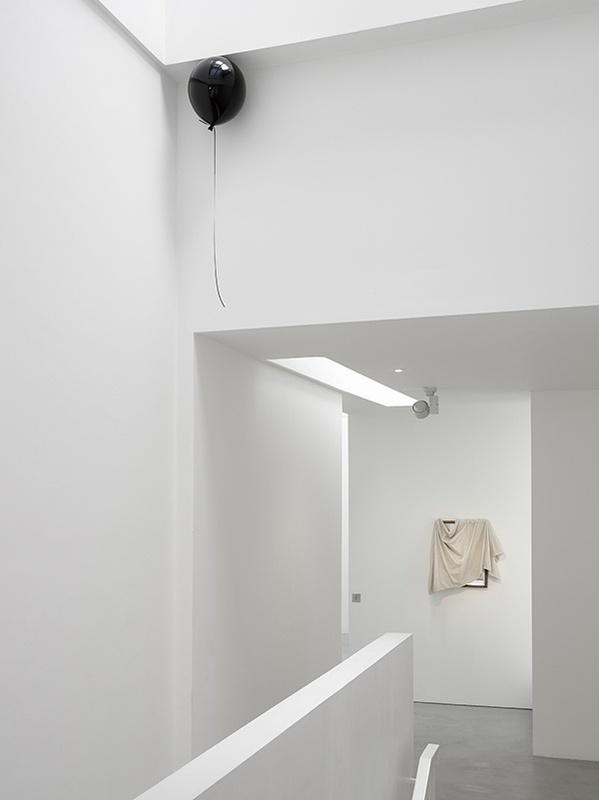 Occupying the courtyard space is Night and Day, an internally lit, semi-transparent two-man tent crafted out of fibreglass resin, while the high-gloss black of what appears to be a helium balloon stuck in the gallery, similarly rebuffs scrutiny. Elsewhere, what cannot be seen is suggestive: the series As is… show the base and discarded robes from sculptures that have gone walkabout; while I be… (i) and I be… (ii) are dust-sheeted mirrors as might be found in a closed-up stately home, their crisply sculpted draperies teasingly shrouding the reflections that lie behind. Copyright: the artist. 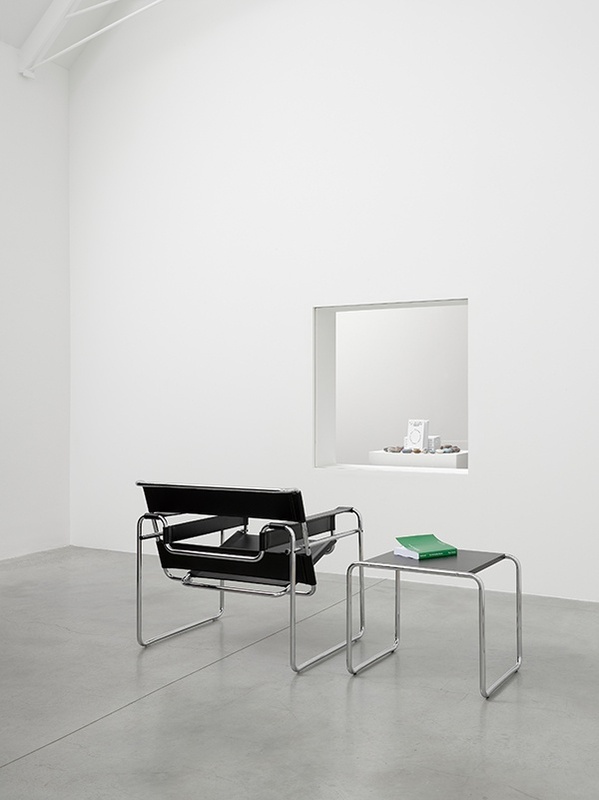 Courtesy: Lisson Gallery, London/Milan/New York. Photo: Jack Hams. 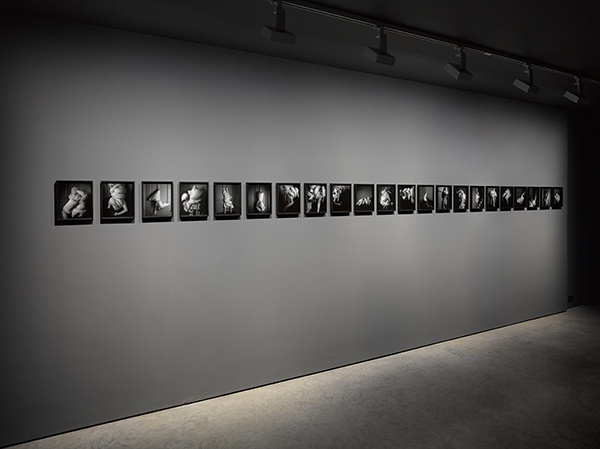 Broomberg & Chanarin’s debut solo exhibition at Lisson Gallery consists of new photographic, moving image and performative works that collectively explore tensions between discipline and chance, precision and chaos, empathy and the involuntary pleasure of watching the pain of others. 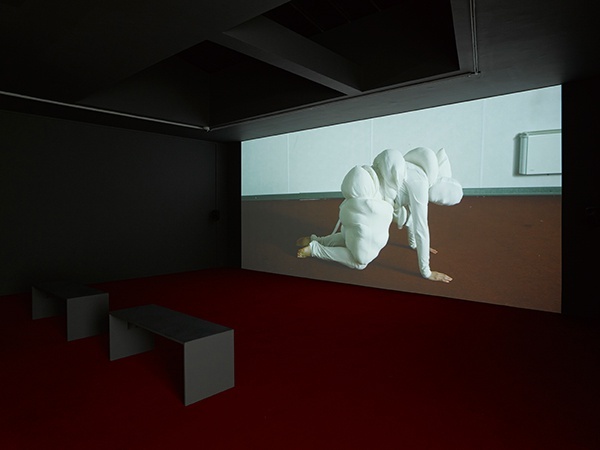 Central to the show is a new film work, Rudiments (2015) in which the artists have collaborated with a group of young army cadets at a military camp on the outskirts of Liverpool. Whether Broomberg & Chanarin have staged the scenes we observe or have simply documented the camp’s routine practice remains unclear. The young soldiers-in-training are seen marching, drumming and obeying instructions – enacting a collective, authoritarian form of obedience – with varying degrees of success. The absurd and disturbing introduction of a “bouffon”—a dark clown whose performance teeters on vulgarity—radically challenges the martial codes supposedly being taught and interrupts their carefully choreographed routines. The children also learn how to pratfall, ‘play dead’ or deliver convincing blows to one another, performing comic actions that are seemingly at odds with the hierarchical structures of the army. 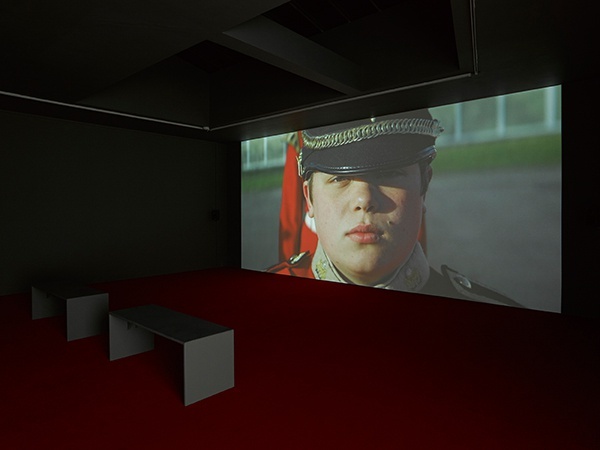 Broomberg & Chanarin’s film explores the experience of empathy or the enjoyment of pain in others through formative moments of childhood and innocence of early youth, as well as highlighting the importance of cadets to the armed services and especially the historical role of the drummer boy in battle. 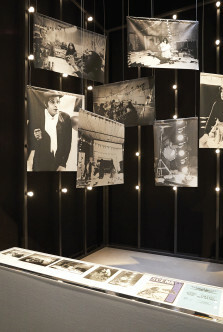 The work’s title refers to the 40 rudiments that form the technical foundation of percussive music—including rolls, strokes and paradiddles—while the soundtrack is propelled by a dramatic, improvised score devised for the drums by the American musician Kid Millions (also known as John Colpitts). 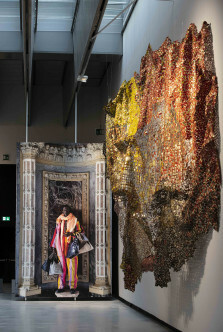 Accompanying the film are two large-scale photographic series, the first of which depicts bullets that have collided head-on and fused in mid-air. These improbable, perhaps even slapstick objects were originally found on the battlefields of the American Civil War and are said to have effectively saved the lives of two soldiers. 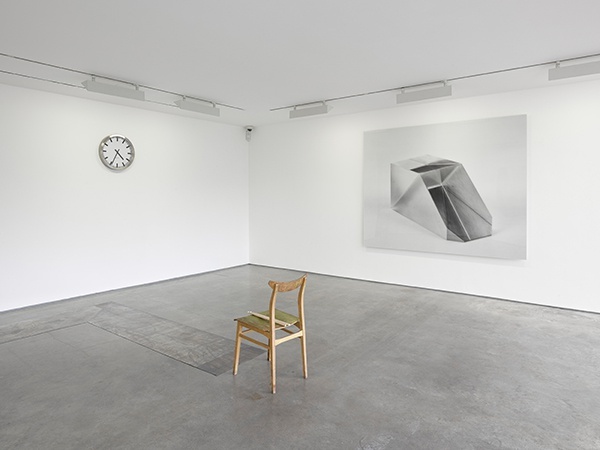 For their second new series, Broomberg & Chanarin have photographed military grade prisms, shards of optical glass that are used in the sights of precision weaponry, but which also relate to the lenses found in the same photographic apparatus they use. Violence is transmitted through these materials: collided lumps of lead and the shear edges of crystal glass. 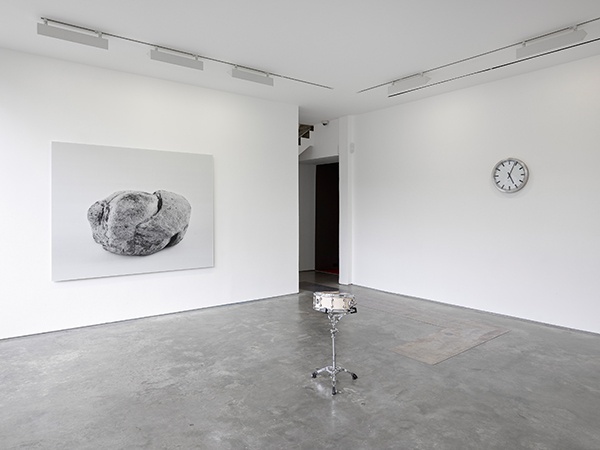 The exhibition will also feature a live performance with two drummers, one snare drum, one chair, two clocks and a lead carpet, in which the drummers play a drum roll for the six-week duration of the exhibition, without interruption. 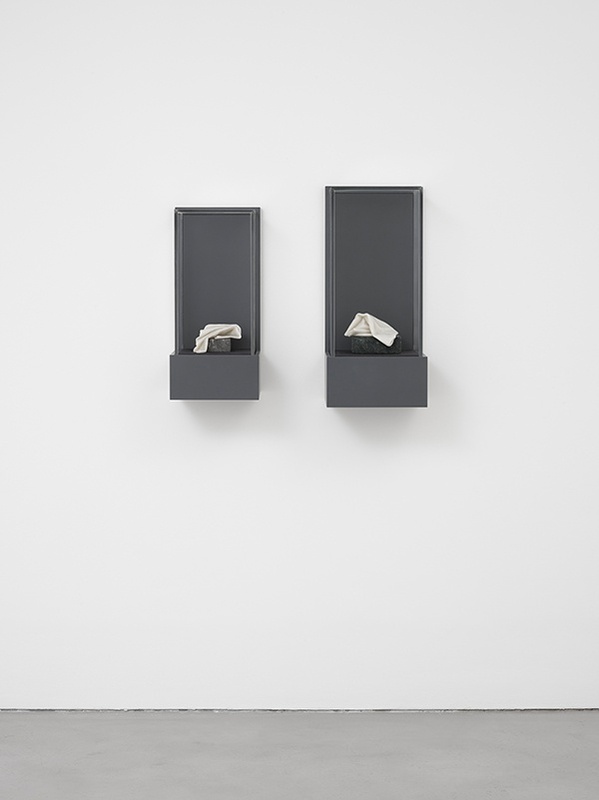 The Lisson Gallery exhibition is an extension of a major show at the Centre for Contemporary Art Ujazdowski Castle in Warsaw (27 June – 6 September), who co-commissioned the film Rudiments with Forma Arts, supported by Arts Council England. 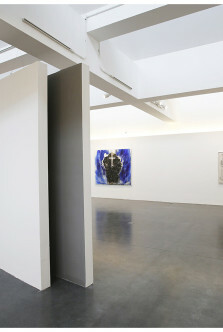 This show coincides with the artists exhibiting as part of the eighth British Art Show (Leeds Art Gallery, 9 October – 10 January 2017, then touring to Edinburgh, Norwich and Southampton throughout 2016) and they will also be the next invited artists to exhibit and intervene within the Freud Museum in London (7 October – 22 November), exhibiting a new body of work, “Every piece of dust on Freud’s couch”. Copyright: the artists. 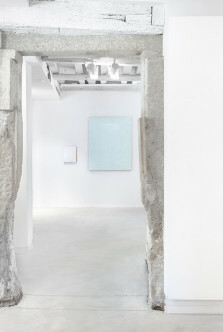 Courtesy: Lisson Gallery, London/Milan/New York. Photo: Jack Hams.